Daniel E. Greene is considered by many to be the foremost pastel artist in the United States. 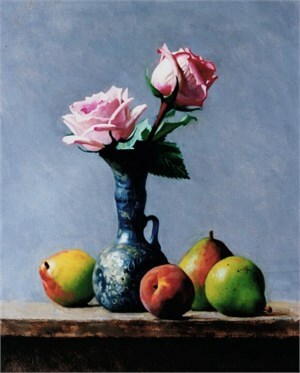 A former instructor of painting at the National Academy of Design and the Art Students League of New York., he is the author of Pastel that was in print for 25 years and The Art of Pastel. 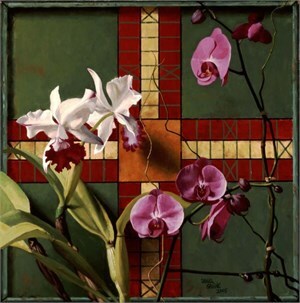 In 1969, Greene was elected to the National Academy of Design and, in 1983, the Pastel Society of America elected him to the Pastel Hall of Fame. In 1989, his work represented the U.S. at the first International Biennial of Pastel in San Quentin, France. In 1992, he was awarded American Artist magazine's first Lifetime Achievement Award in the category of oil painting. In 1995, the American Society of Portrait Artists presented him with the John Singer Sargent Award for lifelong dedication to the achievement of excellence in portraiture. In 2003, the Pastel Society of the West Coast named him a Pastel Laureate. Greene's paintings and pastels are in over 500 public and private collections in the U.S. and abroad. Highly regarded as a portrait artist, his subjects have included leaders of government, banking, education, and industry. A few of the early works include Eleanor Roosevelt, astronaut Walter Schirra, author Ayn Rand, and William Randolph Hearst. Some of his later portraits include Dave Thomas of Wendy's, commentator Rush Limbaugh, composer Alan Menken, and Bryant Gumbel of CBS. In 1994, Mr. Greene presented Hillary Rodham Clinton with a pastel portrait of Eleanor Roosevelt in a special White House ceremony. A partial list of sitters includes the chairmen of the boards of Honeywell, Coca-Cola Company, Dupont Corporation, American Express, the New York Stock Exchange and IBM. Greene has also painted the deans and presidents of Tufts, Duke, Columbia, North Carolina, West Point, Delaware, New York, Princeton, Rutgers, Yale, and Harvard universities.